Also, if it is in game (Or if you would add it) do chicks have a chance to grow up into a hen or a cockerel? Ah, I love realism! Hey! Just checking, does this mod make it so hens have to breed with cockerels/roosters (As it would be weird for hens to breed with hens)? If not, could it be a possible feature? This might be a really niche and weird request, but is there any way to add compatibility with Ice and Fire: Dragons in a new light mod? 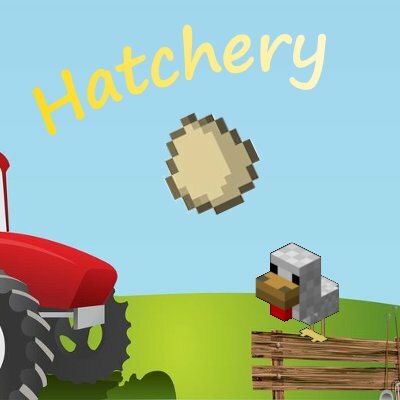 Chickens lay rotten eggs in that mod, but they're not picked up/generated by a nesting pen. Its no biggie if its not possible or common enough to warrant adding, but I was just curious! Believe this is the second request for this.. is this only when they are in nesting pens? EDIT: After longer sessions I am starting to think that rotten eggs drop less frequently, if at all now with free-roaming chickens. Is this compatible with Roost? not sure what you mean by compatible. As far as I know neither mod interacts with the other for any reason. Do this mod work with dynamic trees? or biome o plenty? biomes yes, at least it still should be. dynamic tree's not sure do they create there own biomes? I just learned about the mod the other day. Question for anyone who has an answer. Is there a table/chart/sheet for all the chickens and their tiers? So has crowing been added yet? Sorry last reply came off a bit strong. I'm just in the middle of making my own 16x textures for Hatchery as it's too good of a mod to let aesthetics stop me from using. I'll post them if you want as another alternative if you think they are okay? Its cool I guess I missed your last message. Are you going to be uploading it to curse forge? If you do PM me the link or just post here. I take a look at them. how does one refill fertilizer sprayer running only hatchery and chicken mod versions 1.12.2.
lol its all good. It use to work with the GUI and it use to work with right clicking the block too. Not sure if the right clicke works in the 1.12 version .I know I had to rewrite some stuff for that earlier this year.